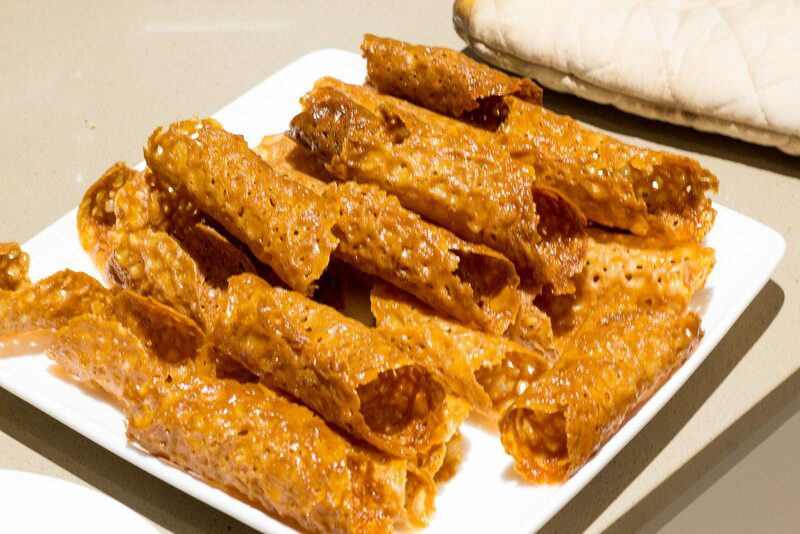 Brandy Snaps are a popular dessert in the UK. It doesn’t require a lot of ingredients and it is not very technical but they are so good. Having fresh ginger instead of powdered ginger makes a big difference. I would also recommend dark chocolate compare to white chocolate because the snaps are very sweets and a darker chocolate balance well. Adding brandy in this recipe is not a must. Brandy was supposed to come from branded that mean burned and not from the famous alcohol. Gather your utensils and ensure they are grease free. 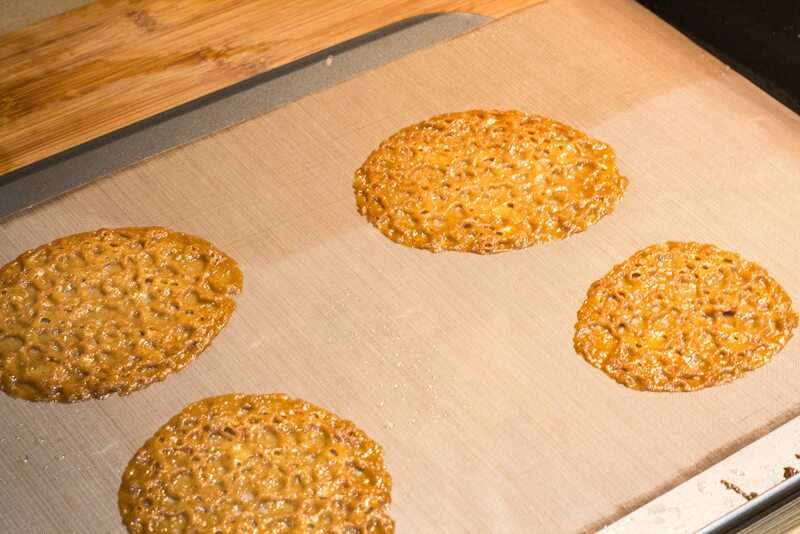 Line two baking trays with parchment paper. 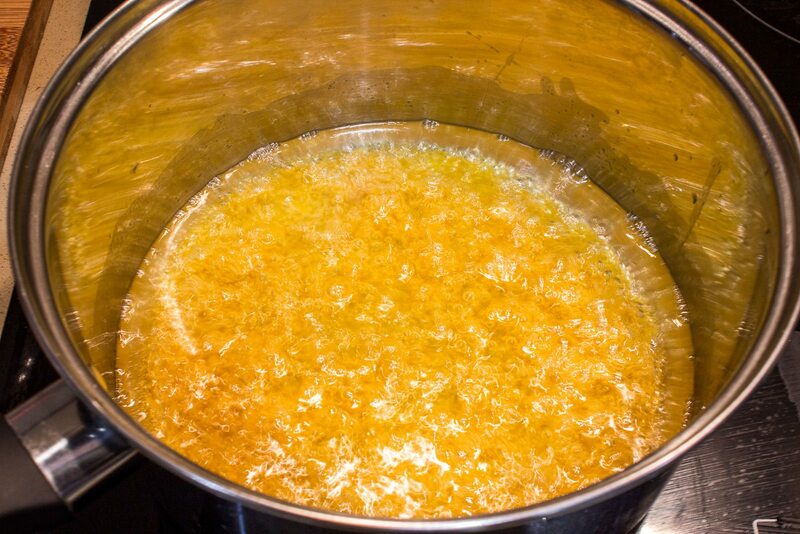 Put the coconut oil, sugar and golden syrup in a saucepan. 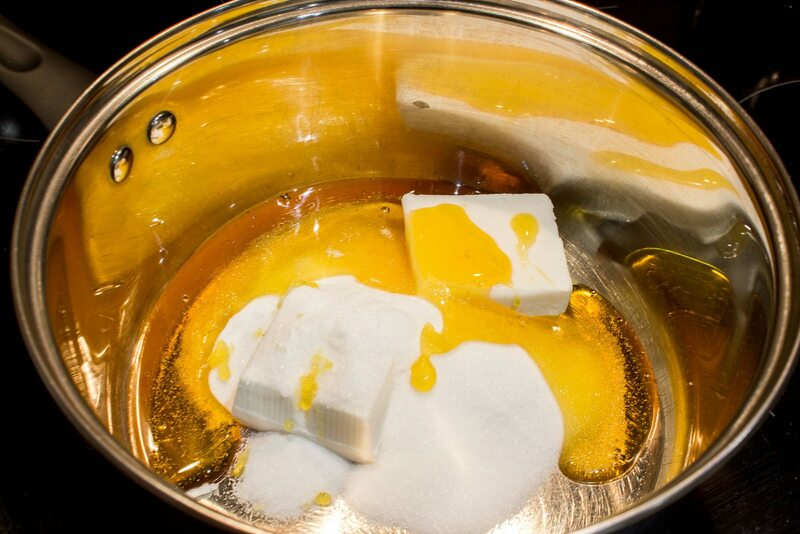 Heat gently until the coconut oil and sugar have melted. 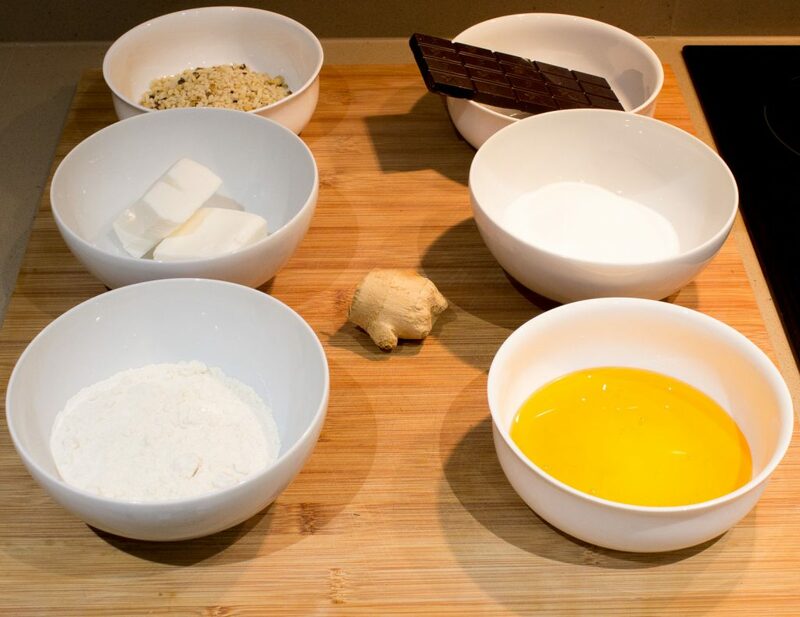 Put the flour, ginger, the lemon zest and juice in a bowl. 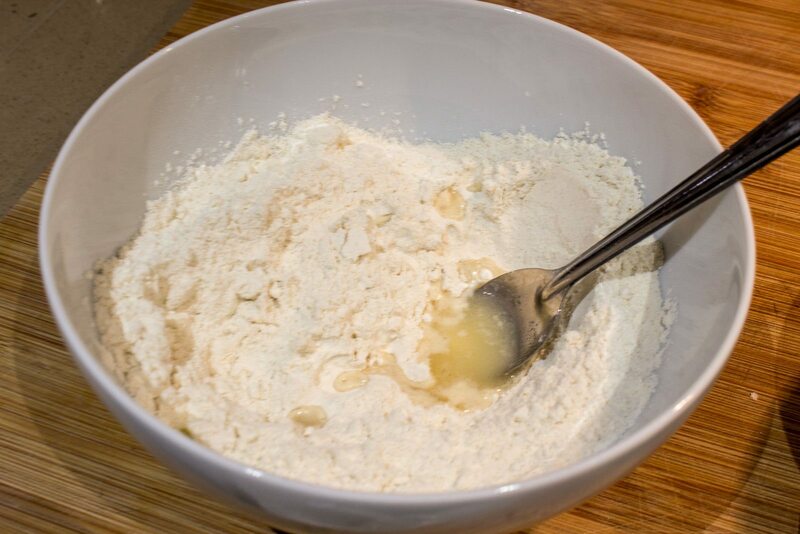 Pour in the previously prepared mixture and gradually beat it into the flour until it is thoroughly combined. 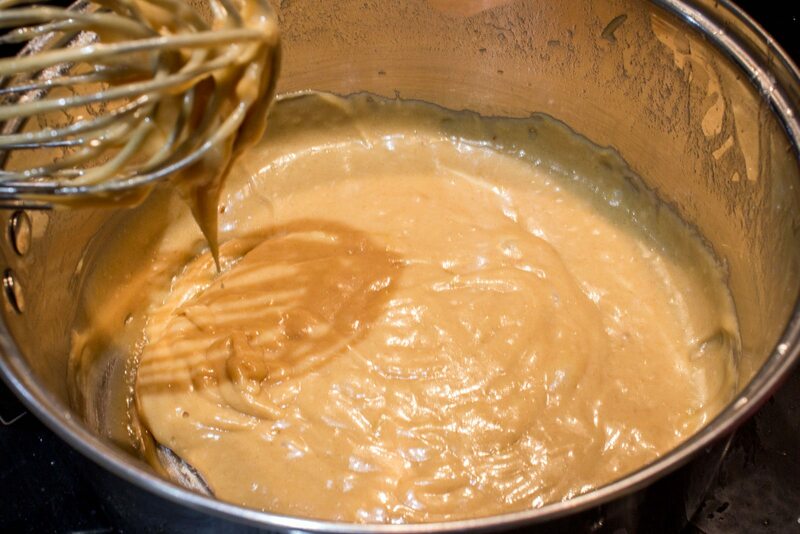 Use a teaspoon to dollop 4 heaps of mixture on the prepared baking tray. Space them well apart as they will spread a lot. Place in the oven and cook in batches for 8 - 10 mins until set, golden brown and lacy in appearance. Leave for a minute before shaping, the snaps should still be pliable but set enough to move without burning your fingers or tearing. 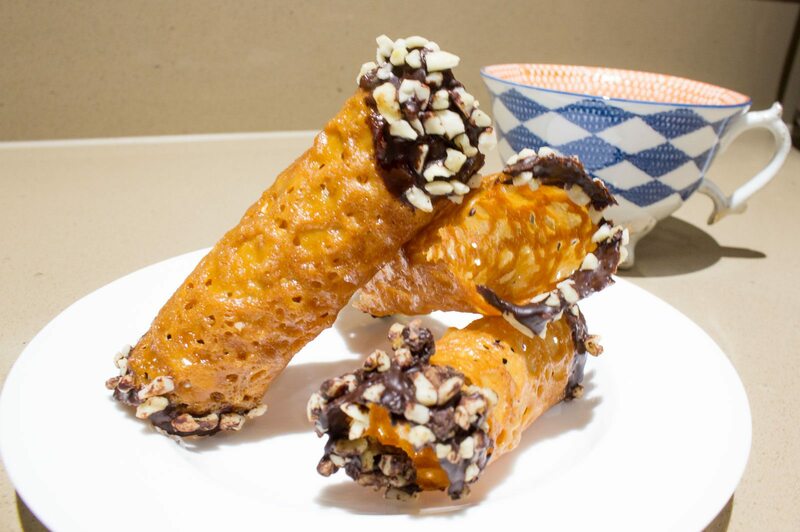 You can shape the brandy snaps into cigars or baskets. 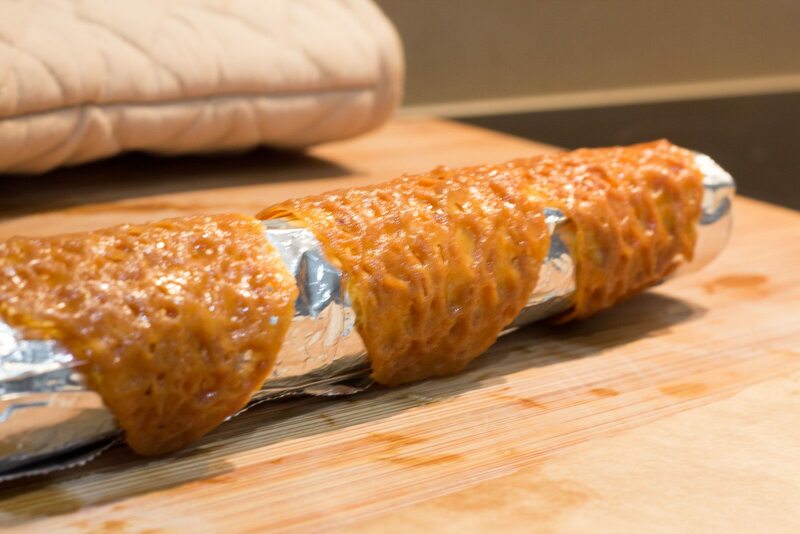 To make cigars, take your kitchen foil roll and wrap the brandy snap around. To make baskets, take small ramekins or narrow tumblers and drape the biscuits over them. The top of the biscuit should touch the base. 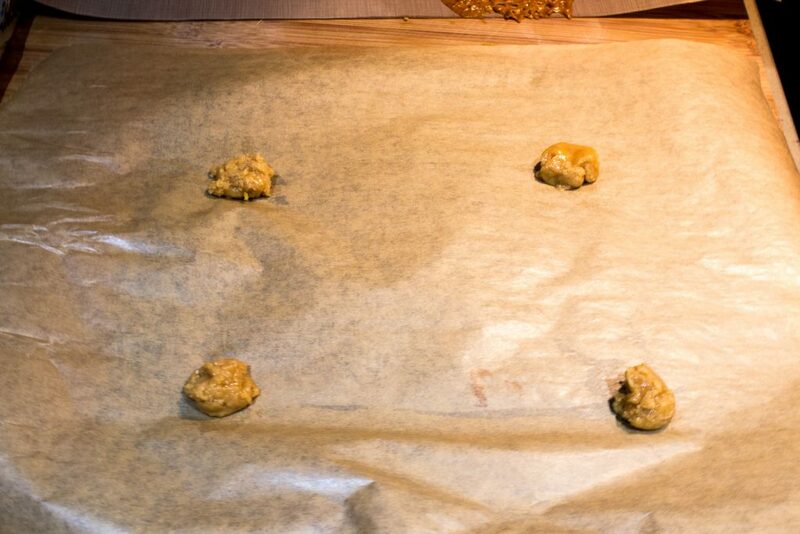 Leave to cool while you have another batch in the oven. 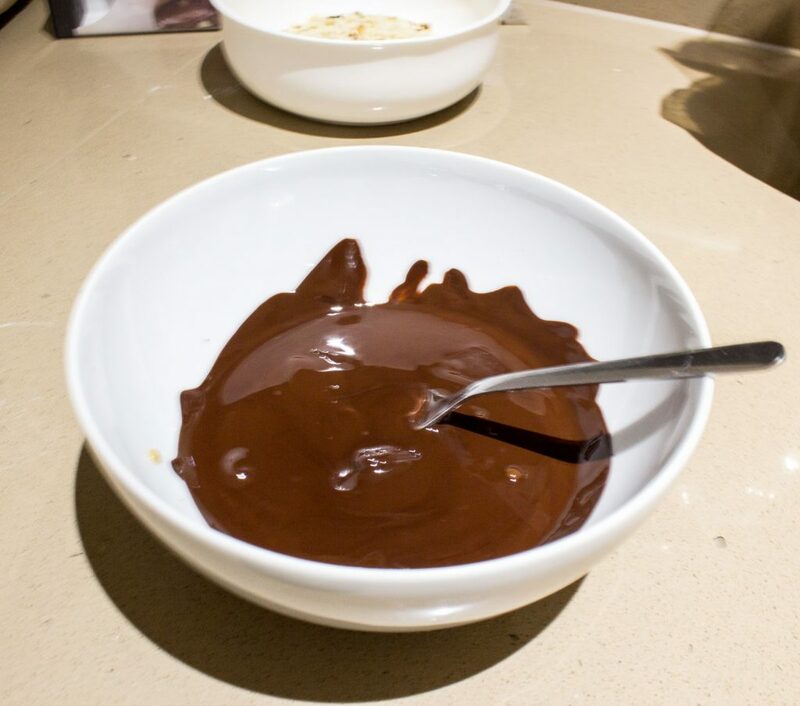 Melt the dark chocolate in a heatproof bowl over a pan of gently simmering water. 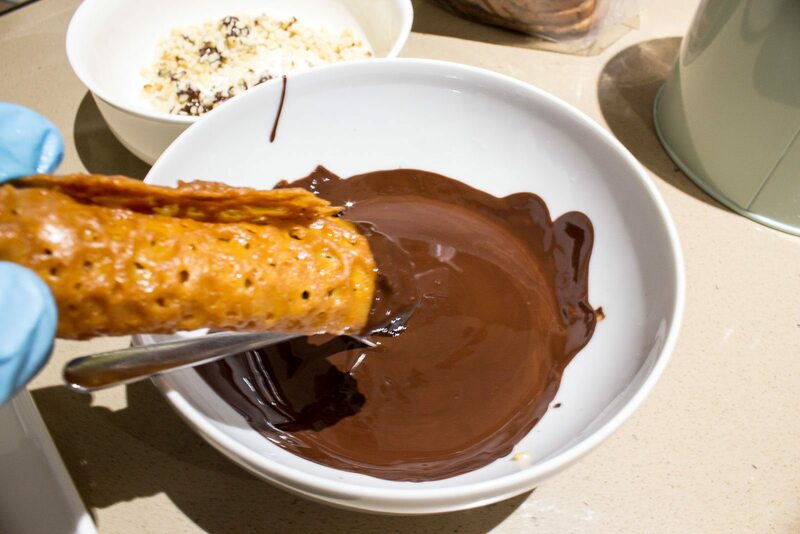 Dip one side of the snap in the melted chocolate and wait for the excess to drip. 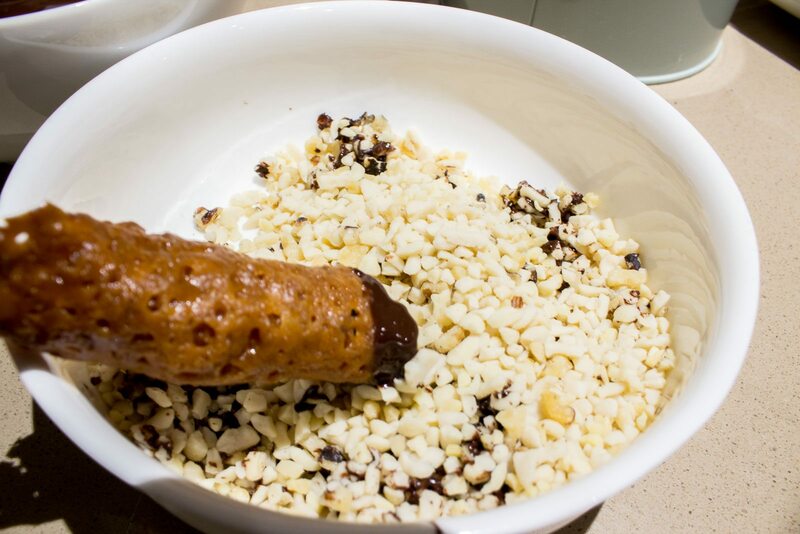 Next, dip in a mix of chopped nuts; repeat this for all of the snaps in your batch eventually covering both ends. 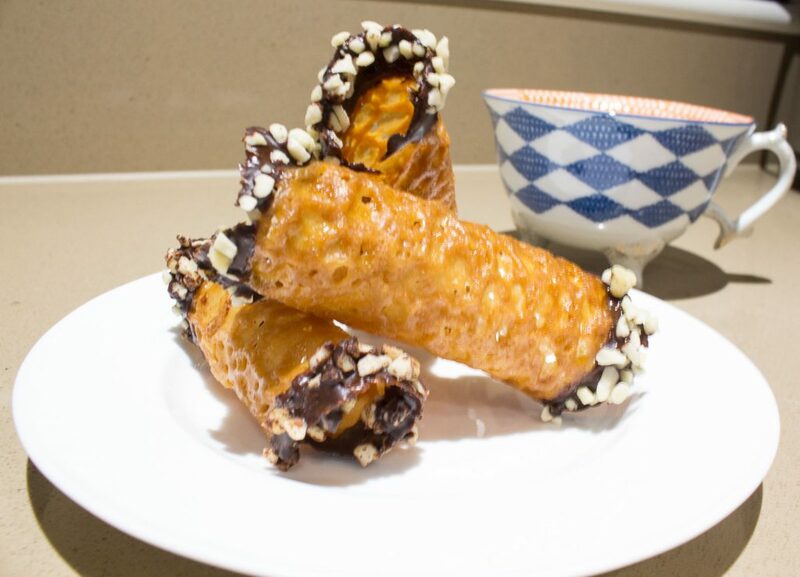 Your brandy snaps are now ready, you can enjoy them with some tea or coffee at the end of a meal.